Lockfit 24 Hour Locksmith Services | What Is A Multipoint Lock? 15 Mar What Is A Multipoint Lock? If you wish to improve the security of your home and business, then multipoint locks are the ideal solution for your needs. Commonly referred to as a 3 point lock, these products consist of 3 bolts that work to lock a door in a single place. Understanding what is a multipoint lock can help you make effective decisions when choosing locks for the safety and security of your property. The 3 point locks consist of 3 different bolt mechanisms that works in a similar manner to a deadbolt. It is secured into the door and will engage when the level of the door is pulled in an upward position, immediately securing the lock and the door. Its primary purpose is to heighten security, ensuring that the home or the business is provided the best possible protection against unauthorized entry and criminal intrusions. Multipoint locks are favored over the deadbolt because it has a top, center and a bottom lock that is most effective in securing doors 3 ways. Deadbolts will only lock the door from the side while your 3 point locks will engage all the bolts adding strength and security. These products have become increasingly popular for both residential and commercial use owing to the functionality, practicality and the appeal it offers. Should you need to get out of your property hastily, simply initiate the mechanism while indoors and shut the door behind you when moving outside. This will secure your door automatically and prevents having to return to the door from the outside to secure it. It is a convenient solution but should always be done with full awareness of where your keys are or you will have to contact your local locksmith. These types of locks are not restricted to a single key and incorporate modern technology to help you conveniently and safely secure the home or the business. You can use a key to enter the premises or keyless entry and closure which are ideal for patio areas. These patio locks are durable and functional allowing you to use the levers or keys to open and secure the doors. Many options are available if you are interested in 3 point locks and should be discussed with a professional installation service. Your professional provider can come out to your home or business to conduct an assessment and determine what your needs are. Based on this evaluation, the process to improve overall secure and the best locking mechanisms can be installed. 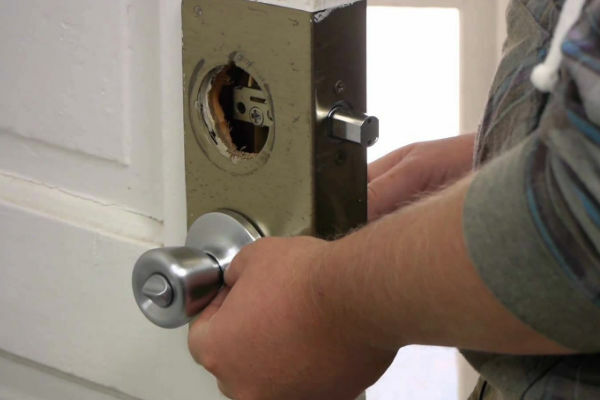 With more properties interested in improving the safety and the security of their homes and businesses, it is pertinent that the proper locking mechanisms are incorporated. High quality locks with durable features will last against the elements. It is also more difficult for criminals to gain access as the top, center and the bottom areas of the level are engaged rather than a single lock. Multipoint locks are sturdy, secure and provide a neat appeal for any property. With the installation of modern features, you will have peace of mind your residential and commercial premises is properly secure. Call on your professional installation service to receive high quality locks that are durable and work for your needs.